The world’s biggest company Apple is going to working on self-driving cars. Thay has confirmed that they are working on it and which is just recently officially confirmed by apple.There have long been rumours about Apple’s plan. According to the company, the company has to go to huge investment in the construction of automated vehicles. Apples are writing a letter to US transportation regularity Authority, that the company is Excited about the potential of automated system in many areas in the field of transprtation, especially with the possibility of the automatic system. according to the Apple company, there are many social benefits of the automatic vehicle,we should use the benefit of all. There are so many running rumour about a self-driving car, but themselves didn’t confirm it, but now they began to build the car for the first time that Apple has confirmed. Apple has recently registered internet domain name, apple.car and apple.auto. Apple requested to the government agencies about the make rules and regulation in a positive way. Apple automatic vehicle construction sector was also urged other companies have all data and information provide by all company to share about the accident and have to declare the company together with all the other safety system so as to make. Bear in mind that, Google already has been testing self-driving car on the street. One of the biggest electric car making company Tesla has confirmed that they will connect automatic systems in all of the vehicles. 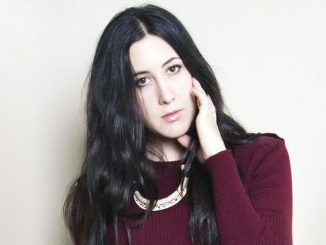 Last Updated on January 9th, 2019Short Description Of Vanessa Carlton Vanessa Lee Carlton is an American singer-songwriter. Carlton signed with A&M Records. Vanessa started recording her album, which was initially unsuccessful. Her debut single, “A Thousand Miles”, touched the top (Read more)…. Last Updated on March 18th, 2019Short Description Caroline Winberg Full Name Caroline Maria Winberg Date of birth 27 March 1985 Marital Status Unmarried Birthplace Sollentuna, Sweden Ethnicity White Profession Fashion Model, Actress Active Year 2002-Present Eye colour Blue Hair colour Blonde Build (Read more)…. Last Updated on April 16th, 2019Gwendoline Yeo is a Singapore-born-American actress, voice actress, writer, and musician, best known for playing the role of Xiao-Mei in Desperate Housewives. For her performance, she was nominated for the Best Actress for NAMIC Vision (Read more)….